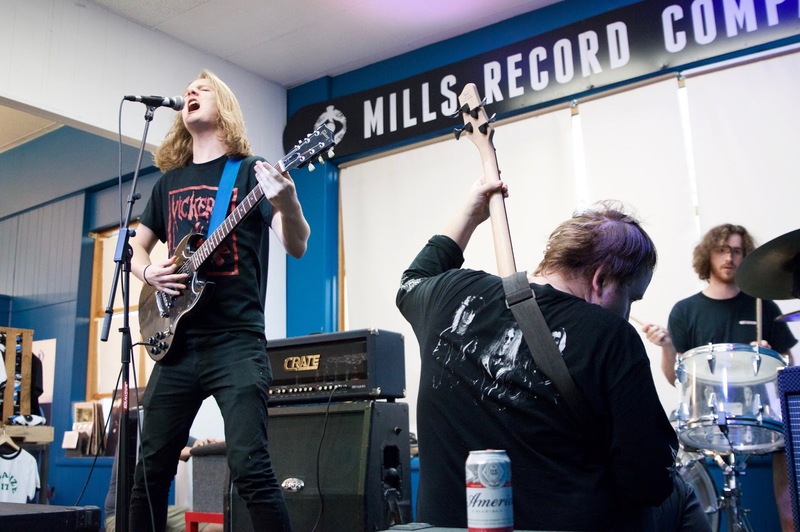 A gorgeously mild evening in Kansas City on Friday evening likely played a role in our show's low attendance, but those who risked the First Friday FOMO were rewarded with performances from four up-and-coming acts. Members of Throat Breach were asked to turn down their amps, but still unleashed their terrific/terrifying grind jams. Rapper Iddy Vice performed some promising new material in addition to tracks from last year's "Christflow" EP. Tommy Strauser played loose, bluesy interpretations of "Hypernormal" songs "I Want More" and "Goodbye." No Alternatives and friends surrounded the stage to begin the evening, cheering on Solomon and basking in his infectious energy. 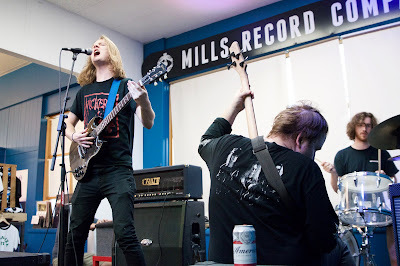 As always, we'd like to thank Judy and the staff at Mills Record Company, along with all who performed and attended. We'd also like to thank Raising Cane's in Westport for providing meals for those involved with the show.